I have always been fascinated by raptors, so when I discovered a family of peregrine falcons nearby, I started paying them regular visits. This has resulted in many hours spent watching them doing absolutely nothing. Every now and then, however, something more interesting happens. And every now and then, I happen to capture one of those interesting moments in a photograph. This site is an opportunity for me to share what I have observed and learned. I hope to add much more over time. 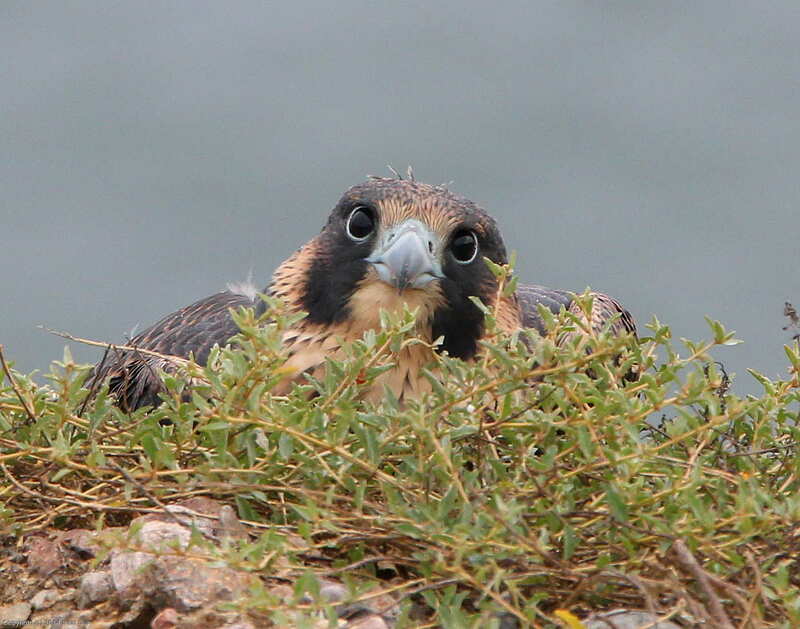 The peregrine falcons at Torrey Pines are year-round residents. The adults can often be seen on perches along the Guy Fleming Trail, or from the beach, on the edge of the cliffs. The breeding season starts in January with mating activity. The parents can be seen at the nest site taking turns with incubation in April. Chicks are typically first visible at the beginning of May, and fledge near the end of the month. Within days, they are swooping along the cliff sides, chasing each other and their parents, and engaging in aerial dogfights. Activity tapers off by the end of June when the juveniles disperse. The Peregrine Diaries are an extensive collection of photos documenting my visits each season. I grew up with the space shuttle, watching the first launch on TV early on a West Coast morning, and ultimately attending 7 launches and 18 landings in person. A spaceship with wings, how cool was that? I eventually got my own wings, and have had some extraordinary opportunities to do aerial photography of space themed events. All images and content on this site are Copyright © Sam Sun. All rights reserved.